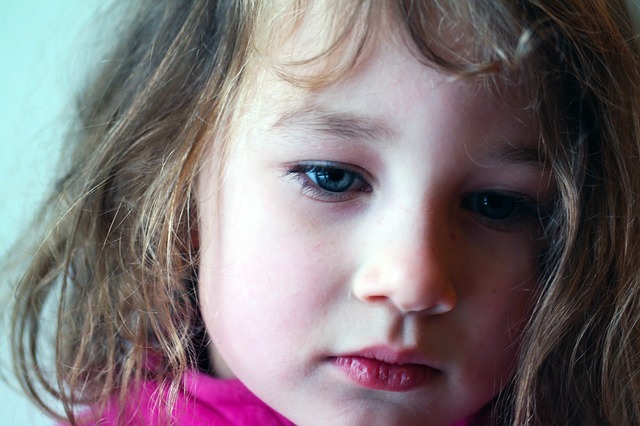 We Fight In Front of Our Child, How Badly Is It Hurting Her? The marriage that kids see at home gives them a lasting impression of how relationships are supposed to work. If your child sees you and your husband fighting on a regular basis, this will be the type of relationship that she will be unconsciously drawn to in the future. My husband and I have been married for five years with a 2-year-old girl. My issue is that we have a tumultuous relationship and my child has witnessed a lot of conflict. Once we even spent the night apart and were going to separate, but we got back together. At least once a week, we yell and scream in front of her and sometimes I have threatened to take her and go to my mom's. There is a lot of crying too. I don't seem to be able to stop the fights. I want to get counseling but my husband says no. I love him but he just makes me so angry. He never listens to my side of the story and it just makes me so angry. My daughter seems okay and like she doesn't even notice the fighting. But still I worry if we are messing her up. I should mention that we never yell at her directly. I am so sorry your marriage is difficult and you feel unsupported. However, I don't have good news for you. The conflict is definitely affecting your little girl. The issue isn't "how resilient are children?" Children survive horrible traumas, like war, abuse, hunger, crushing poverty. She will live through your fighting. However, it will teach her that conflict-ridden relationships are normal, and it will impact her mood and view of herself and the world. The marriage that kids see at home gives them a lasting impression of how relationships are supposed to work. If your child sees you and your husband fighting on a regular basis, this will be the type of relationship that she will be unconsciously drawn to in the future. She will associate drama and conflict with marriage, and she will find partners that feel the same way. Regular marital conflict is also very stressful for children. The fighting that your daughter witnessing is likely making her brain produce more cortisol, a stress hormone. Even if she seems like she doesn't notice the fighting, she does. She hears it and sees it. If she is more sensitive, she may develop behavioral problems, depression, anxiety, or nightmares. If she is less sensitive, she may only learn that marriages are fraught with conflict and despair. Neither outcome is positive. Please attempt again to get your husband into couples counseling. It is essential for your daughter's emotional health, and you deserve to be in a healthy and functional relationship yourself. If this is the pattern you've fallen into, it's unlikely that you were raised seeing a functional marriage, which makes your current marriage familiar to you. At the very least, find individual counseling for yourself to discuss your marriage and your stress levels. Thanks for writing in, and keep me updated. Till we meet again, I remain, The Blogapist Who Says, Your Child Deserves To Be In a Low Conflict Home. For more, visit Dr. Rodman at Dr. Psych Mom, on Facebook, and on Twitter @DrPsychMom.